Over the years, the Inn has had the pleasure of hosting many great speakers at our End-of-Year Dinner and program meetings. Many speakers travel from across the country or even the ocean to speak and often do so at no cost to the Inn. We would like to recognize and thank those speakers who have given of their time to educate our members. Dynamic speaker Jim Jesse presented on copyright and joint representation issues through the music and career of The Beatles. This entertaining program qualified for an ethics hour. Jim Jesse has been an attorney for 24 years, and has been a full-time CLE presenter since 2013. He is the former General Counsel for Cool Music Network (THECOOLTV), which is a 24-hour-a-day music video television network. Previously, he was in private practice. He has founded Rock N Roll Law, and his passion is spreading music law through his seminars. Danny Marti serves as the U.S. Intellectual Property Enforcement Coordinator within the Executive Office of the President. The Office of the U.S. Intellectual Property Coordinator is charged with developing the Administration’s intellectual property enforcement strategy and is the primary office responsible for coordinating the efforts of the U.S. Government criminal, national security, and economic agencies engaged in intellectual property policy and enforcement. Kevin Noonan and Donald Zuhn spent the evening recounting the founding of Patentdocs.org, the state of patent law, and some of the challenges ahead for the patent system. Scott Klososky is an international speaker and author on technology and cyber security in an ever evolving world of computer technology. Jeff Cohen is a successful attorney and author in Los Angeles representing clients in the media, entertainments, and technology areas. 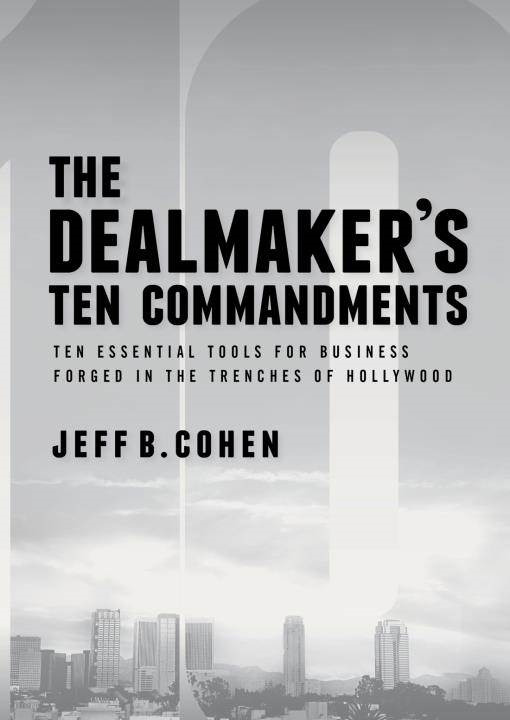 He recently published his first book titled "The Dealmaker's Ten Commandments: Ten Essential Tools for Business Forged in the Trenches of Hollywood". Jeff also played the character "Chunk" in the Steven Spielberg film "The Goonies" but he asks that you not hold that against him. Paul Inman is a partner at Wragge Lawrence Graham & Co LLP in the United Kingdom where he has litigated intellectual property disputes in the UK and other countries for over 20 years. Paul specializes in the life sciences sector, including high-profile pharmaceutical patent infringement and revocation actions in the UK Patents Court. Paul was gracious enough to talk to the Inn about the EU Dawn Raid practice at the Inn's April 2015 Meeting. Johnathan McCartney, Magnus Johnston, and James Ward are partners at Haseltine Lake LLP in the UK. Each regularly practice in the European Patent Office and represent clients in opposition proceedings and other European IP agencies. In March of 2015, they presented a mock EPO Patent Opposition Hearing to the Inn. Erin Wolf is a celebrated author and speaker in the area of leadership development and diversity. Having spent years in the Wall Street trenches, she is currently on the faculty at the Cole College of Business at Kennesaw State University and is a Managing Partner of SuiteTrack LLC that helps companies across the United States develop leaders and diversity. Professor Jonathan Turley is a nationally recognized legal scholar who has written extensively in areas ranging from constitutional law to legal theory to tort law. He has written over three dozen academic articles that have appeared in a variety of leading law journals at Cornell, Duke, Georgetown, Harvard, Northwestern, University of Chicago, and other schools. Professor Turley is a regular on-air analyst for NBC and CBS and is a columnist for USA Today. Chel Tanger is President and CEO of the Tanger Consulting Group in Atlanta and retired partner from Pricewaterhouse Coopers LLP. He has consulted on a broad range of matters that have included, but may not be limited to, antitrust; bankruptcy; breach of contracts; business interruption; copyright infringement, misappropriation of trade secrets; patent infringement; post merger and acquisitions, trademark and trade dress infringement; qui tam actions and white color crime and fraud. The results of his work often lead to expert testimony at deposition and/or trial or in front of a governmental body or agency. Ed Manzo is a partner at Husch Blackwell in Chicago and is an author and speaker in the area of patent law. Mr. Manzo has published several books on patent law, but is perhaps best known for his books on claim construction. He has also created the "Claim Construction Game" and was gracious enough to demonstrate it for the Atlanta IP Inn of Court. Janet Gongola is the Patent Reform Coordinator for the U.S. Patent and Trademark Office. In 2011, she was tasked with leading the effort to implement the biggest changes in U.S. patent law at the PTO in over 60 years. In 2012, she and her team gave a special presentation to the Atlanta IP Inn of Court on the implementation of the AIA. Judge Kozinski of the U.S. Court of Appeals for the Ninth Circuit was the featured speaker at the Atlanta IP Inn of Court at its Second Annual End-of-Year Dinner in 2013. Nominated to the Circuit in 1985, Judge Kozinski has been a leading jurist. 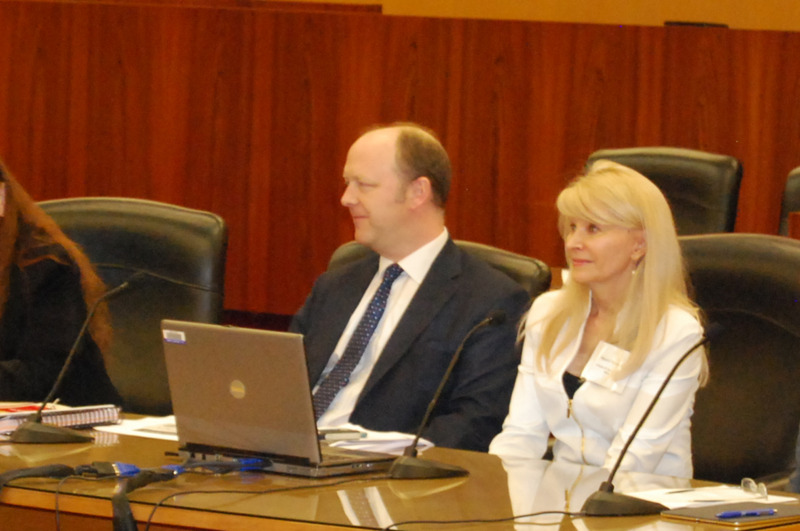 The Inn thanks Judge Kozinski for his informative and often humorous take on intellectual property law. Judge Charles A. Pannell, Jr.
Judge Pannell is the judicial counselor for the Atlanta IP Inn and the featured speaker at the Inn's first annual end of year dinner in 2012. With over 35 years experience as a judge on both state and federal courts, Judge Pannell has tried over 1000 jury trials and shared with the Inn his stories from the trenches. There is no question that the IP Inns of Court movement across the country owes much of its success to the efforts of Judge Linn. In April of 2012, Judge Linn sat down with the Atlanta IP Inn of Court to discuss not only his background and duties at the Federal Circuit, but also to describe his efforts and interests in the Linn Inn Alliance.